Worth, Longworth & London, LLP was formed in 1998 for the express purpose of providing legal services to its original and still primary client, the New York City Patrolmen’s Benevolent Association. More precisely, the firm is dedicated to representing the individual police officers who are the PBA's members. The firm’s entire focus is on defending law enforcement officers’ rights and minimizing the impact on their careers and their financial assets when a complaint is lodged against them or they are accused of a crime. All of the members of the firm have either police or prosecution backgrounds. As a result, they are uniquely suited to represent New York City police officers in a variety of legal venues. Several of the firm’s lawyers have been honored with the prestigious AV® Preeminent™ Peer Review RatingSM by Martindale-Hubbell®, the highest rating available for both professional competence and ethical integrity. These highly-regarded lawyers are law enforcement officers’ champions, from closed disciplinary hearings to the open courtroom. They have extensive experience in situations like these and they understand what the officer is up against. They believe that each officer’s unique situation deserves full and concentrated attention. The firm represents officers who are charged with having committed a crime while on police duty. These cases against police officers have been some of the most high-profile criminal cases litigated in New York City over the last ten years. In addition, the firm also represents private citizens who have been accused of crimes, from simple violations to high-level felonies. The lawyers of Worth, Longworth & London, LLP are fully prepared to defend the client’s rights, even in the face of adverse publicity. 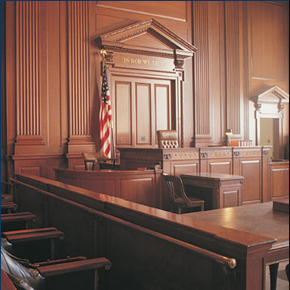 Representation is also provided to officers when they are sued civilly for alleged deprivation of civil rights in connection with the performance of their duties. Upon service of legal papers, the Corporation Counsel's Office, who defends the City and NYPD, determines in the first instance whether to provide representation and/or indemnification to an officer. The firm's attorneys assist the officer during this crucial stage of the case and in matters where representatino is declined by the City of New York, as employer, Worth, Longworth & London, LLP, provides complete representation from inception through trial. The firm has an exceptional record in protecting our clients and their families from personal financial exposure and loss. Law enforcement officers can rely upon the support and experienced legal counsel of Worth, Longworth & London, LLP when facing administrative, criminal, or civil charges in connection with the work. The firm can also help law enforcement clients to pursue compensation for injuries or loss suffered on the job. Contact Worth, Longworth & London, LLP online or call the Manhattan office at (212) 964-8038 or the Long Island office at (516) 621-0007.